Tesla, InstaVolt and Pod Point’s EV charging networks have been rated highest for user satisfaction in a survey. 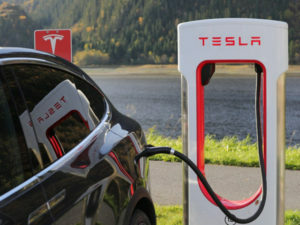 Research among more than 1,500 Zap-Map users found that Tesla topped the list, with more than 93% of drivers using Tesla Superchargers reporting being ‘very satisfied’ and 3% ‘somewhat satisfied’ with the experience. Users praised the network for its reliability, national coverage and often tariff-free charging. This was followed by InstaVolt, with 88% of the network’s users being ‘satisfied’ with the charging experience (65% ‘very satisfied’ and 22% ‘somewhat satisfied’). Respondents reported ease-of-use and contactless card payment among the most positive aspects of the service. Third was Pod Point, with more than 700 of the survey sample using the network. A total of, 82% were either ‘very satisfied’ (50%) or ‘somewhat satisfied’ (32%) when accessing and charging their EV on one of Pod Point’s units. A key point of the network – which offers a range of slow, fast and rapid charge devices – was their simple operation. Although the majority of UK operators have a positive satisfaction score of more than 50%, networks outside the top three were claimed to suffer from issues including poor reliability, unit communication issues and higher-than-average charging costs. The data also revealed that, on average, the reliability of the UK network, taken as a whole, is improving. While analysis conducted in July 2017 showed that 14.8% of devices were out-of-service (including 4.1% partially operational), by August 2018, this had reduced to only 8.5% (1.1% partially), a reflection of the significant investment by UK networks in the past 12 months.